Coppola and Nuss appeared in every match together as the No.1 pair in their inaugural year in the Purple and Gold. Compiling a 27-7 record as freshmen together, the duo helped lead the Tigers to their first appearance ever at the NCAA Championship in Gulf Shores, Alabama. In their first season, the pair compiled an impressive stretch of 20 wins in 21 matches. They also compiled nine wins against ranked opponents, including seven in the top-10. After the NCAA Championships, Coppola and Nuss were selected to compete at the USA Volleyball Collegiate Beach Championships in Hermosa Beach, California where they advanced to the round of 16. Coppola, Nuss and the entire LSU squad will kick their season off tomorrow at the GCU Beach Tournament in Phoenix, Arizona. The Tigers will take on No. 14 Cal Poly, No. 10 Grand Canyon, No. 2 Pepperdine and close out the weekend against Nebraska. The Tigers’ first home tournament of the season will take place at Mango’s off of Sherwood Forrest in Baton Rouge March 24-25. 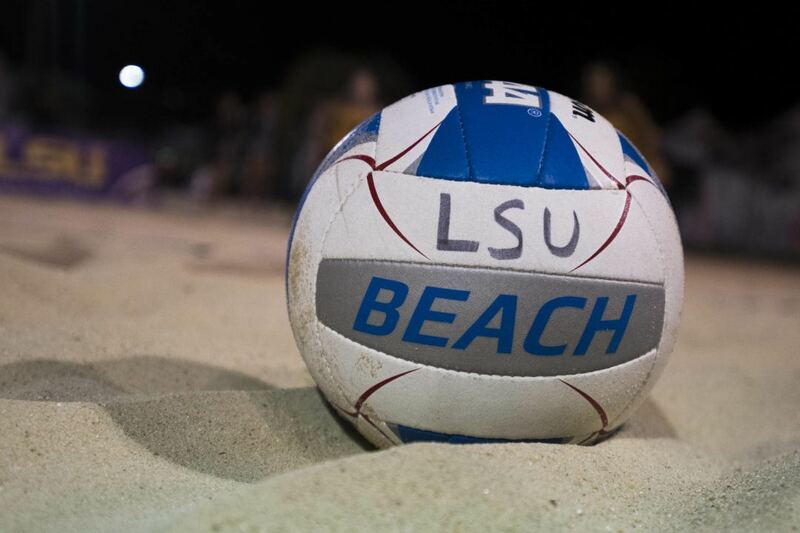 For the latest information on LSU’s beach volleyball team, fans can follow the Tigers on Twitter and Instagram @LSUbeachVB and @RussLSUbeach, or on Facebook by liking LSU Beach Volleyball.